Having difficulty finding your favourite products? We’ll point you in the right direction of where to find them. Don’t forget we’re in lots of lovely little shops too! 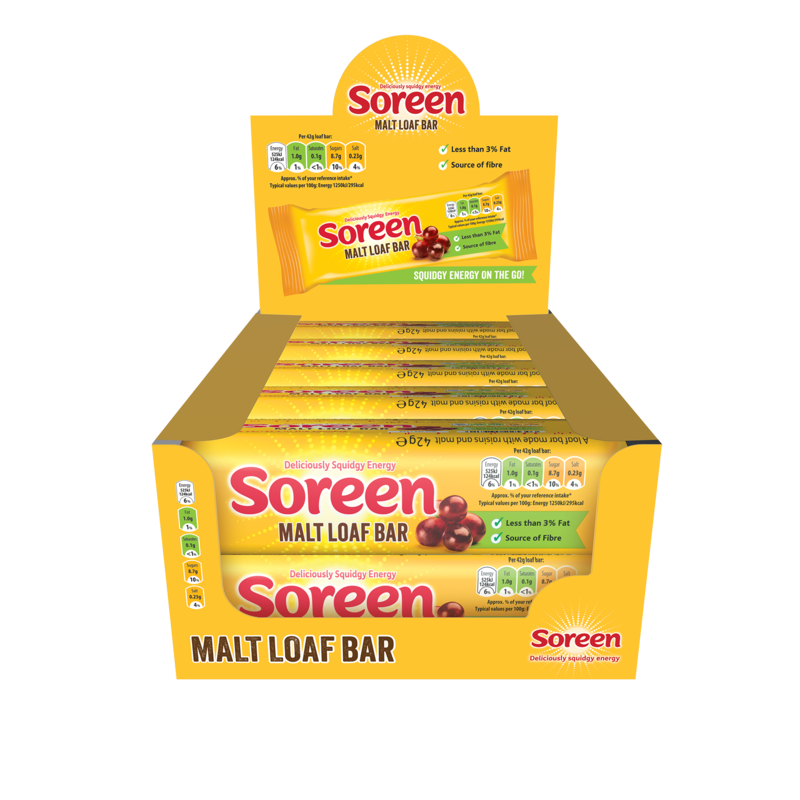 Want to find our Malt Loaf Bars? Click here to find your nearest Sainsbury’s, Co-Op and WHSmith Travel store. You can now visit the Soreen Store HERE where you can get your hands on Soreen cycling jerseys, mugs, water bottles and other gifts for our squidgy hearted fans! Are you looking to stock Soreen? If so click here.